By far the most painful part of any breakup is knowing that it may have a negative effect on the children you share. While a child will likely benefit from not being in an environment with battling parents, the transition may be hard, and, in most cases, they will need to split their time between one parent and the other. When determining child custody, either through mediation or through the court system, it is absolutely imperative that you know your rights, your children’s rights, and what is best for your children going forward. It’s also imperative that you have an experienced, knowledgeable attorney fighting at your side to make certain that the child custody plan that results is as fair to your family as possible. 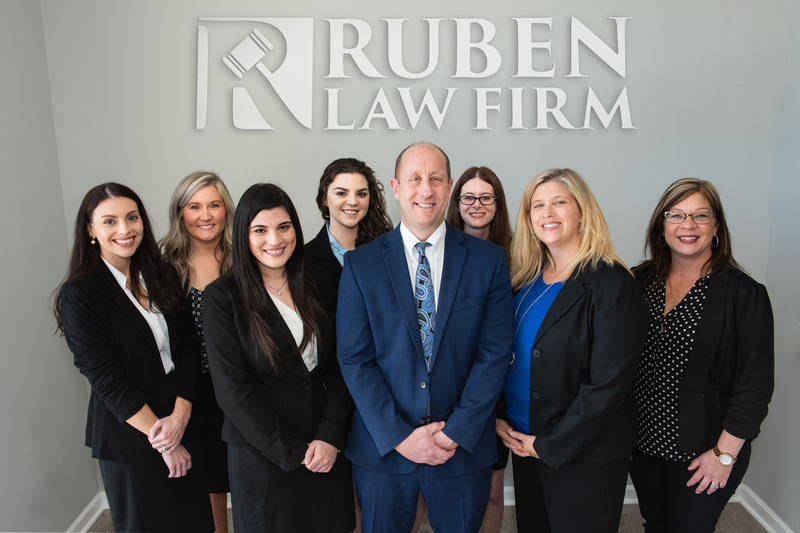 At Ruben Law Firm our Maryland child custody attorneys are committed to helping each of our clients through the difficult process of child support and child custody determinations. To learn more about our legal services, or to ask a question about your case, please call our offices today at (410) 766-4044. Legal custody. Legal custody is the type of custody in Maryland that deals with decision-making authority. Joint legal custody means that both parents must make all major decisions together. Sole legal custody means that one parent has the right to make the final decision when it comes to something major, such as education, religion, health or the general welfare of the child. Physical custody. Physical custody is the other component of legal custody–it means that the child physically is under your care when it comes to food, sleep, shelter, and other everyday needs. Sole custody. Sole custody takes place when one person–and no one else–is awarded custody of the child. You may have sole physical custody or sole legal custody of a child as well as both sole physical and legal custody. Your Maryland divorce attorney can help you understand all of these types of custody in greater depth as well as understand which types of custody might best benefit your child and your family. First and foremost, child custody is determined in the court system by understanding the best interests of the child. Note that the Maryland system strives to treat men and women equally and believes that the best interests of most children involve time with both their mother and father. Who currently cares for the child and provides their basic needs. Who the child turns to for care. Whether each of the parents is mentally and physically fit to care for the child. Who the child would like to have custody of them (dependent on the child’s age and maturity). Where the child’s emotional support system is. Where the parent lives and where the child would like to live. Whether the child has been separated from one parent for a significant length of time. The religious views of the parents and children. The involvement and location of each parent’s family members. The social network and day-to-day life of each parent. The proximity of each parent to the child’s school and social world. Each parent’s ability to provide for the child. Each parent’s character and moral standing. Note that a parent’s disability will only affect child custody determinations if that disability directly affects the best interests of the child. Also note that a court may take a child’s opinion into account if the child is older. For example, a mature 16-year-old may well be able to reasonably voice his or her best interests to the court without a problem. In most cases, the natural parents of the children–the biological parents, the parents who raised the child, or the adoptive parents–are granted custody of the children in the case of a divorce or break up. However, in some limited cases, the natural parents may be found unfit to parent and it is in the best interests of the child to be raised by a close relative, stepparent, or other figure in their lives. Outside of these circumstances, though, grandparents and other close relatives may petition for visitation rights even if they won’t be granted custody. Every child in Maryland has the right to receive support from both parents, and both parents are responsible for their children. There is a specific formula used to calculate monetary child support, based on the combined adjusted income or potential income of both parents. Child support orders include funds for child care, medical care, and health insurance. Child support ends when the child turns 18 or graduates from high school, whichever comes later, but no later than 19. Child support may also end when the child is emancipated. Whether you are determining child custody for the first time, or whether you need to return to court or mediation in an attempt to change the parameters of your child custody agreement, we are here to help. We invite you to contact our offices, meet our team, and see if we are a good fit for your legal representation needs. Please contact our office today online or call us at (410) 766-4044.